Technique could be used to scale-up self-assembled materials for use as optical sensors, color displays, and light-guided electronics. By using a new method to print colloids such as polymer nanoparticles in highly ordered arrangements, scientists have united the principles of self-assembly and 3-D printing. 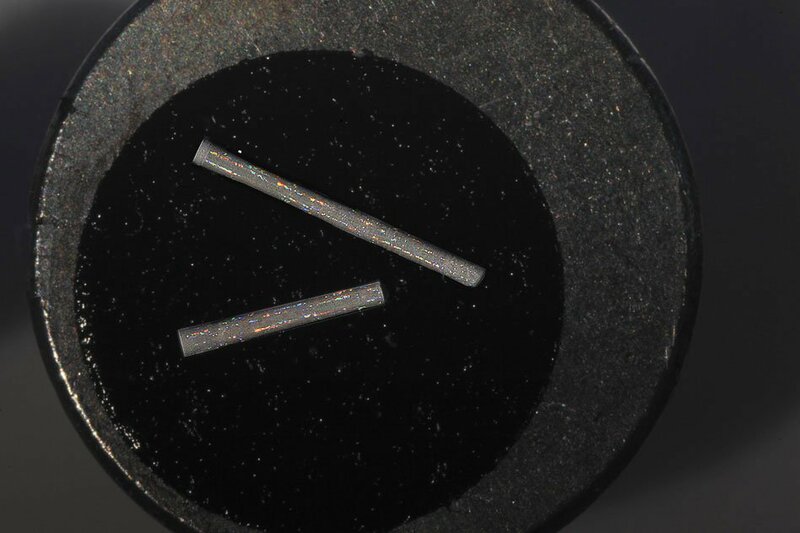 Through this direct-write colloidal assembly process, scientists can now potentially build centimeter-high crystals, each made from billions of individual colloids. Using this method, scientists have printed various structures, such as tiny towers and helices, that interact with light in specific ways depending on the size of the individual particles within each structure. Evaporating the liquid solvent of colloidal particles, it is possible to drive all particles altogether. Doing so causes them to assemble into ordered crystals and formed structures that exhibit unique optical, chemical, and mechanical properties. Up until now, researchers have created procedures to evaporate and collect colloidal particles into thin films to form displays that filter light and make hues in light of the size and course of the arrangement of the individual particles. Be that as it may, as of not long ago, such colloidal assemblies have been constrained to thin films and other planar structures. Scientists for the first time made it possible to build macroscale self-assembled colloidal materials. According to scientists, this technique can build any 3-D shape, and be applied to an incredible variety of materials. Scientists primarily build tiny three-dimensional towers of colloidal particles using a custom-built 3-D-printing apparatus consisting of a glass syringe and needle, mounted above two heated aluminum plates. The needle passes through a hole in the top plate and dispenses a colloid solution onto a substrate attached to the bottom plate. The group equally warms both aluminum plates so that as the needle administers the colloid arrangement, the fluid gradually dissipates, leaving just the particles. The base plate can be pivoted and moved up and down to control the state of the general structure, like how you may move a bowl under a soft ice-cream container to make turns or whirls. During the prior demonstration, scientists worked with solutions of polystyrene particles in water and created centimeter-high towers and helices. Every one of these structures contains 3 billion particles. In ensuing preliminaries, they tried solution containing distinctive sizes of polystyrene particles and could print towers that reflected particular colors, contingent upon the individual particles’ size.